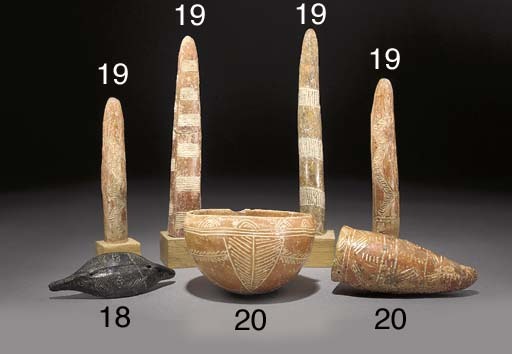 EARLY BRONZE AGE, CIRCA 2000-1900 B.C. The Art of Ancient Cyprus, pp. 253 and 263, pl. 288. This is a rare surviving terracotta version of a form that is known from examples in gold, used to cover the mouth of the corpse before burial, dating to the end of the Late Bronze Age. It has been suggested that the above terracotta mouth-cover may be a copy of perishable wooden versions used during the Early Bronze Age period.